The newly released memo about Carter Page falls short of the case that some Republicans promised: that the document would show bias against Donald Trump by investigators in opening the Russia inquiry. 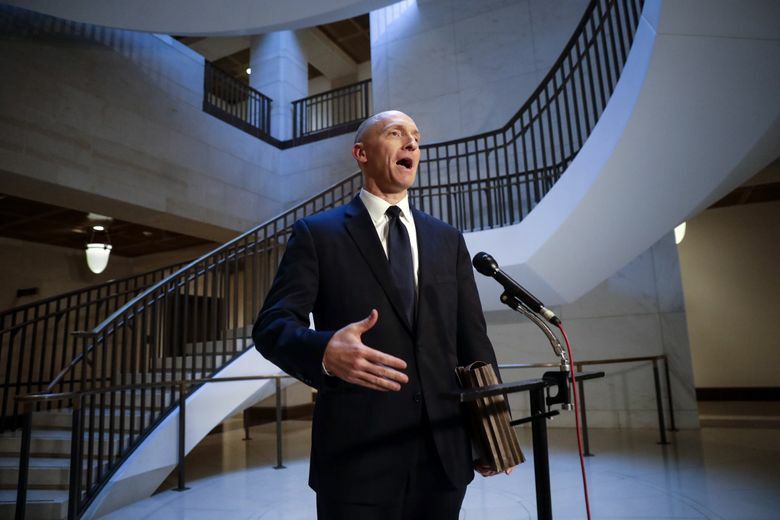 For months, Carter Page, the former Trump campaign adviser who was under government surveillance as part of the Russia investigation, has been shunned by Republicans and dismissed by the White House, which portrayed his campaign stint as inconsequential. But now he is the linchpin in a conservative effort to discredit the FBI and the special-counsel inquiry. He is at the center of a memo written by Republican committee staff members that was released Friday and accuses law-enforcement officials of abuses in obtaining a warrant to surveil Page in 2016. The memo falls short of the case that some Republicans promised: that the document would show bias against Donald Trump by investigators in opening the Russia inquiry and possibly undercut the investigation by the special counsel, Robert S. Mueller III. For the past year, Page has been pitching that narrative to journalists, politicians, investigators and almost anyone else who would listen. Though Trump’s allies have repeatedly sought to dismiss Page as a bit character in the 2016 campaign, his role could now be political fodder in the president’s efforts to discredit Mueller’s inquiry. Page’s rise, fall and subsequent reappearance at the center of the Russia investigation has been facilitated by Rep. Devin Nunes, R-Calif., chairman of the House Intelligence Committee. Though the FBI and a top Justice Department official discouraged the publication of the memo, the Republican-led committee voted this week to release it, and the president declassified it Friday. “I look forward to updating my pending legal action in opposition to DOJ this weekend in preparation for Monday’s next small step on the long, potholed road toward helping to restore law and order in our great country,” Page said in a statement Friday, praising the memo’s release. Page, a Navy veteran, served briefly as an adviser to Trump’s campaign until September 2016, after reports emerged of his connections in Russia, including a July 2016 visit to Moscow in which he was suspected to have met with sanctioned Kremlin officials. Page has denied those meetings occurred. Trump first announced Page as an adviser to his campaign in a March 2016 interview with The Washington Post. At the time, Page was pitching himself as an energy-sector expert and head of his own firm, Global Energy Capital, with an extensive network in Russia, where he said he had high-level connections as part of his work in the energy field. Page was an unknown in the political world. But he was on the radar of federal law-enforcement officials, who questioned him about his contacts with a Russian intelligence operative years before he came into contact with the Trump campaign. In 2013, Page struck up a professional friendship with the operative, Victor Podobny, who was working undercover in New York City. Page — who at the time did not have any role in the U.S. government — gave documents to Podobny about the energy sector. Podobny was picked up by the authorities on a tapped phone calling Page an “idiot” to his Russian intelligence colleagues. He was charged by the Justice Department but spirited back to Moscow before he could be arrested. Page was questioned by law-enforcement officials about his contacts, but never charged in the case. Page has openly acknowledged he is the unnamed male referred to in federal court documents about Podobny. A dossier compiled by Christopher Steele, a former British intelligence operative hired to investigate Trump’s links to Russia, claimed that Page maintained deep ties to the Kremlin, including with officials sanctioned by the United States. Nunes’ memo claims that the dossier was improperly used to justify surveilling Page after he had cut ties with Trump. But the memo left out that the research was initially funded by The Washington Free Beacon, a conservative website. Page’s mannerisms amid the unfolding Russia investigations have emerged as a sort of Washington, D.C., sideshow. Despite being under scrutiny by federal and congressional investigators as a possible agent of Russia, Page has waged a near-constant public-affairs campaign, appearing on TV news shows and engaging with reporters, sometimes with obscure GIFs or movie clips. For months, Page showed up regularly, uninvited and unannounced, at the secure offices of the Senate Intelligence Committee on Capitol Hill, where he dropped off documents he had compiled himself. One was his own dossier in which he claimed he was the victim of a hate crime by the Hillary Clinton campaign because he was a Catholic and a man.